Flat panel TVs now have a reason to celebrate: an incredible sound system that doesn't clutter the wall with a bunch of speakers. The ES-300-SNDBAR-50-BLK not only looks great, but sounds amazing too! This single soundbar is actually three independent speakers in one - consisting of left, center, and right channels. It's perfect for living room and bedroom applications with TVs 55" and larger. 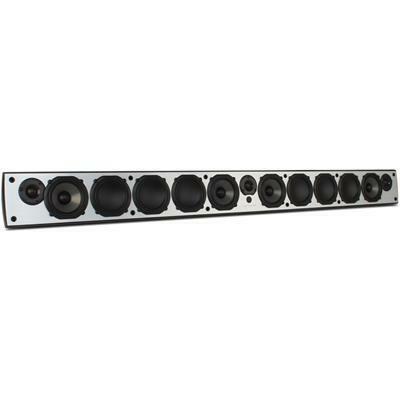 Warranty All Episode Speakers have a Lifetime Limited Warranty. This warranty includes parts and labor repairs on all components found to be defective in material or workmanship under normal conditions of use. This warranty shall not apply to products which have been abused, modified or disassembled.